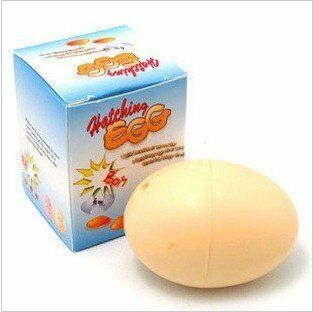 A light sensitive crazy dancing hatching chicken egg. Put it in a gift box or the refrigerator to trick your friends and family. Light activated, when the light hits the egg it vibrates looking like it's starting to hatch. Automatically activates when light is detected, and turns off in the dark. Please note:It is not waterproof and it won't vibrate or move in the dark.